I’ve been a fan of James Tealy since the first time I met him in Denver, CO in the summer of 2004 (back when he was James Thiele!). I spent a summer learning from him as he taught about the mission of God to students at an M-Fuge camp. We hiked around Rocky Mountain National park and talked about life and faith. He is a talented communicator and a more talented musician. Over the years I’ve followed his music career with great joy. His newest album, “Only Love” (featuring The Citizens Oath) is of particular interest to me. It is no secret that CCM lost its appeal to me back in college. However, there are a growing number of musicians and bands that write quality music that embraces all aspects of life. As such, the songs touch on themes of love, faith, adventure, and more. I place a much higher value on creativity and authenticity than polish contents that fit in a pre-packaged genre. Only Love is definitely the kind of album that you’ll put on repeat. You’ll feel the tug toward adventure in songs such as “Before This Moment Dies.” A track like “In Jesus” provides a somber moment to reflect on your faith and “The Language of Our Heart” has the overtones of eternity woven throughout. The entire album has the tone of honesty and sincerity that I’ve come to love about James’ music. The folksy pop sound makes it easy to listen to and you’ll be surprised by the musical twists and turns. I have been a serious fan of James Tealy since I worked alongside him in ministry during the Summer of 2004 (back when he was still James Thiele). We were on a M-Fuge team that helped students learn about God and minister in the city of Denver. James proved to be one of the most talented men I have ever been around. He is a gifted speaker and a talented musician. Above all, he has a great heart for the mission of God among the nations. His heart will not be missed on this new album, Open Hands. I also picked up (i.e., downloaded digitally from Amazon.com) a copy of Matt Papa’s newest Scripture Songs and Hymns. It is always refreshing to find Scripture songs performed in an honest and artistic way. I find Papa’s music to be saturated with the truths of Scripture without falling into the usual CCM clichés. I am also eagerly anticipated the newest releases from Arcade Fire (The Suburbs) and The Weepies (Be My Thrill). Recently I’ve been listening to a few new albums. One of my favorite is Shad’s newest venture, TSOL. 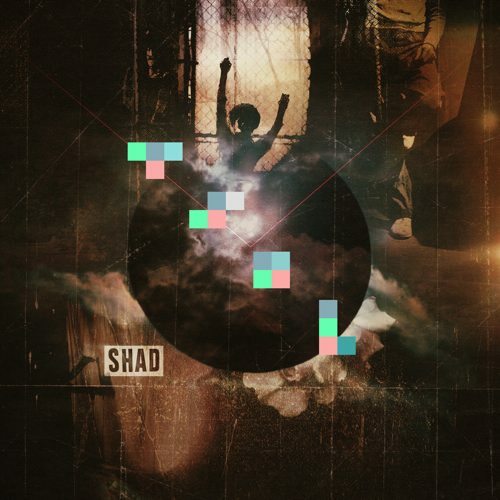 Shad is for those that are fans of intelligent, musically inspired hip-hop. Another artist that is quickly rising the ranks of my musical tastes is Deas Vail. There newest album (Birds & Cages) is worth a listen. They recently toured with Owl City and have thoughtful lyrics with diverse and whimsical music. A few of the songs have the feeling of a soundtrack for a smash hit independent film.